The Mini Viper SD is a great all-round climber, with a perfect balance of roominess, comfort, features and light weight. 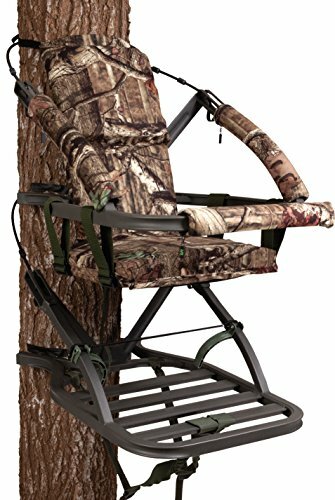 The versatile padded seat can be raised for bow hunting and lowered for hunting with a gun. The solid front bar makes climbing easy and works well as a gun rest. Like all Summit climbers, Viper features our Rapid Climb Stirrups, QuickDraw and SummitLokt technologies. Weight Limit is 300 pounds. Overall stand weight is 20 pounds. Weighs 18 lbs. and holds up to 300 lbs.